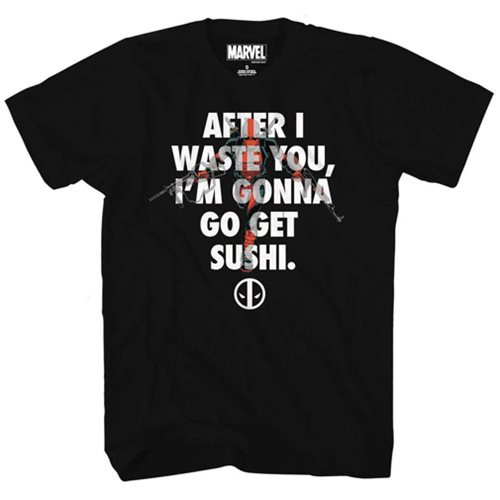 Show your pride with this Deadpool Waste and Sushi T-Shirt. This high quality t-shirt features the merc behind the quote," After I waste you, I'm gonna go get sushi." Perfect for any Deadpool fan, this Previews Exclusive shirt makes for a great addition to your Deadpool collection!